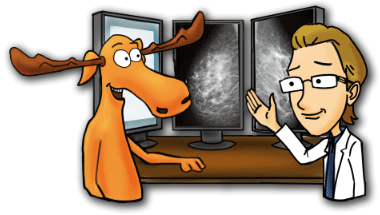 Breast Cancers are recognized more by gynecologists than any other physician. As such, it is vital that gynecologists receive as much training as possible in the identification of potentially malignant breast nodules. Most gynecologists will perform a breast palpation exam at the same time as they perform a Pap smear. I want to let you know that I have created a newer version of this page with more up-to-date information on Gynecologists. However, this page still has great and useful material so I would still use it as well. Consultation with a gynecologist can have a significant impact on the ultimate course of breast cancer treatment. Statistics have demonstrated that women who are consulted and treated by general surgeons only twice as likely (97% from 43%) to undergo mastectomy rather than breast conserving surgery. Since 1998 and the approval of Tamoxifen for breast cancer prevention, many gynecologists have been prescribing this drug to healthy women. This is a very serious issue, as tamoxifen has been known to have potentially serious negative effects on the uterus, including hyperplasia, polyps, and even carcinomas. Tamoxifen can have negative effects on the venous system which can increase the incidence of pulmonary embolism and deep vein thrombosis. A recently approved alternative to tamoxifen called raloxifene, often given to postmenopausal women to help prevent and treat osteoporosis, has been found to have similar effects to the breast as tamoxifen. So the decision to take tamoxifen on the advice of a gynecologist for women who do not have breast cancer, is one that should be seriously reconsidered. 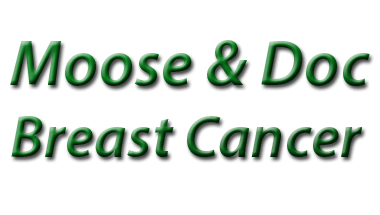 Breast cancer treatments can cause a number of negative side effects in women. Some of more of a short term nuisance, others more long term and serious. Breast cancer treatment can increase the incidence of hot flashes and vaginal dryness. Hormonal treatments can bring about a premature menopause and contribute to the development of osteoporosis. Body image problems, sexual dysfunction, and loss of fertility may be additional side effects. Medications can assist in the treatment of osteoporosis. Vaginal dryness can be effectively managed with moisturizers and vaginal lubricants. Anti-depressant medication is also commonly prescribed, especially for women with estrogen-sensitive breast cancers. Women should not that it is still possible to become pregnant after breast cancer, and pregnancy is thought to have no effect on the incidence of breast cancer recurrence. For further reading, I suggest you visit this page with information on a multidisciplinary team approach to breast cancer treatment. White CD. The gynecologist’s role in the treatment of breast carcinoma.J Reprod Med. 1990 Mar;35(3):232-4. Gusberg SB.,The gynecologist and breast cancer. Isr J Med Sci. 1981 Sep-Oct;17(9-10):843-6. Schroeder JK, Kuemmel S, Pietzner K, Hector J, Sehouli J, Chekerov R., Optimizing the clinical management of gynecological and breast cancer via online tumor conferences. Anticancer Res. 2011 Aug;31(8):2669-73. Goldstein, SR., . Drugs for the gynecologist to prescribe in the prevention of breast cancer: Current status and future trendsAm J Obstet Gynecol 2000;182:1121-6. Ob-Gyns Address Impact of Breast Cancer Treatments. The American College of Obstetricians and Gynecologists report, Feb. 2012.